NYU Langone Health (Astoria) - Book Appointment Online! 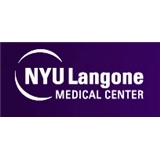 Welcome to the NYU Langone Astoria Medical Associates. Socrates T. Kangadis, M.D. specializes in Internal Medicine and provides general medical care for all adult patients in the New York metropolitan area. Our goal is to provide personalized, quality health care for all our patients. We make every effort to make sure your visit to the doctor's office is pleasant, quick, and easy as possible. We realize that your time is valuable and try to minimize the amount of time you spend waiting, while still spending enough time to address all of your needs and concerns at that particular visit. Important news : We now offer allergy testing!!! We offer a full spectrum of primary care medical services, with an emphasis on preventive medicine and wellness. We want to keep you healthy and minimize the amount of medical care you need. Our doors are always open. So great! I was in and out in about 30 minutes. It always feels like I’m talking to a good friend of mine instead of a doctor. He’s just very down to earth. And the staff couldn’t have been nicer. So glad I found this doctor!